Say hello to Sanne, a veteran digital nomad with almost 10 years of experience, despite her young age. She first moved abroad when she was only 17, and continued by living in developing countries around the world. Now, after having developed her skill set for so many years, she can afford to live wherever she wants to. If you want to get to know this lady who has seen it all, good (swimming with dolphins) and bad (scraping used condoms off hotel room floors), check out her awesome interview below! In 9 years time I have lived in more than 10 countries and traveled through many more. I sometimes feel I have lived so many different lives. 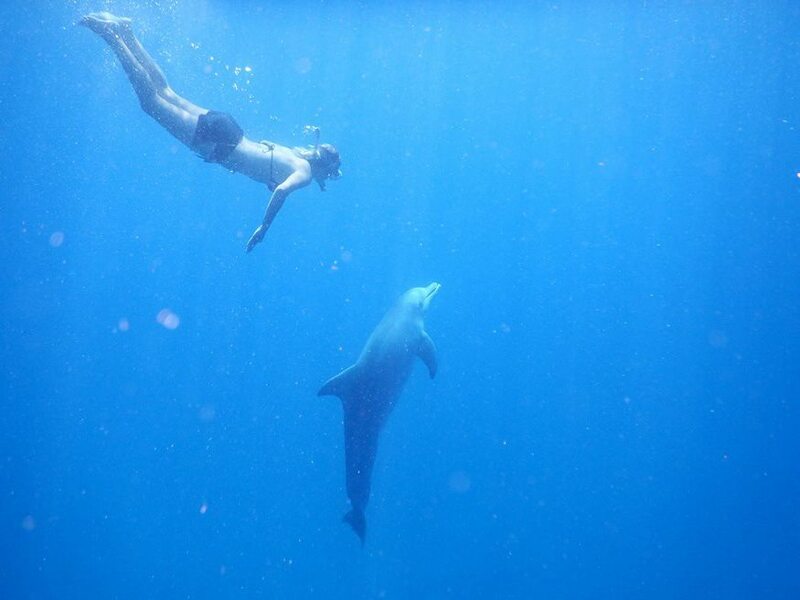 Sanne used to swim with the dolphins every day while living in Mauritius! You are the owner of A to Z Marketing and also co-manage an e-commerce store. Please describe the companies and how it provides you with place independent income. With A to Z Marketing I focus mainly on web design and online marketing (think SEO, online advertising, social media, etc) plus occasional marketing training. Both web design and online marketing are easy to do from anywhere. All I need is a good internet connection and communication with the client via email or Skype. For the e-commerce stores (3 different stores) we have outsourced fulfilment and use a local company to answer our phone calls during office hours. This way everything else can be managed online and therefore can be done from anywhere. Can you imagine giving up life as you know it every 6 months? What’s your story? How did you end up where you are today? What motivated you to live this lifestyle? In 2008 I was offered an interesting job on the Caribbean island of St Maarten and decided to go for it. But I didn’t really want to give up all that I had built in Spain either, because believe me, it had been REALLY hard work. So my business partner took over all that had to be done locally and I kept doing what I could from abroad. This is where my digital nomad life started. That is, without ever having heard of the term digital nomad by the way so I can’t say I systematically planned to become a digital nomad, as many people are now. I simply came to realize I love having my own business and the world is a big place that I want to see a lot more of. Financially: it wasn’t easy to constantly find new clients online back then. Something I feel has changed in recent years and of course I myself just needed time to grow professionally as well (I was only 20 when I started the company). So for a long time I wasn’t making enough money to live off comfortably and then a simple, fun job in a new country or even volunteer work offering me a free place to stay would help make this lifestyle possible. It was my way to meet people and feel part of society. Apart from there not being as many online platforms to meet people back then as there are now I also just really loved becoming a real part of local life. I have taken on such a wide range of jobs from “respectable” marketing jobs to simple hospitality jobs (I found myself scraping used condoms off hotel room floors once…) and incredible volunteering opportunities such as monitoring dolphin populations (and swimming with them every day) in Mauritius. Nowadays, now that it is both easier to meet other digital nomads and now that my company is doing better, I tend to focus solely on my company. But I have to admit I do sometimes miss the crazy situations my local jobs would get me into! Set clear goals for yourself and keep working towards them, knowing that it will take a lot of time and effort. Sanne makes a point of being part of the local community. What are the best sides of living a digital nomad lifestyle? I am completely free. I can go wherever I want, whenever I want. That is, keeping visa limitations in mind which can get very annoying! But that freedom, knowing that I can work when I want and from where I want, free to design my life the way I want it to be, that is worth so much! I wouldn’t change that for anything. You mentioned that this lifestyle has its own share of downsides as well. What are these negative sides? In 9 years time I have lived in more than 10 countries and traveled through many more. I sometimes feel I have lived so many different lives: my life in India was nothing like my life in Rome or my life in the Maldives. And I have said goodbye to all these lives. I said goodbye not just to my friends but to the way I lived life there. Can you imagine giving up life as you know it every 6 months? It’s quite intense and I still miss parts of every life I had. Now don’t get me wrong, I mainly feel extremely fortunate that I got to live all those lives and experience so many things. It has been a truly unique life so far! Missing friends and family is of course the obvious downside. Meeting new people is great, but they won’t easily replace my long term friends and family. Being a digital nomad offers interesting spare time activities! What’s your top tips for people that want to earn place independent income? Set clear goals for yourself and keep working towards them, knowing that it will take a lot of time and effort. If this is really something you want, work for it! It might take time and a lot of effort but you can do it. Do you have any tips for resources for aspiring digital nomads (web pages, books, courses etc.)? I am not the biggest fan of most digital nomad books since they often only highlight the positive, making it sound like an easy to achieve dream with no downsides. Plus they only tend to talk about the type of digital nomad they happen to be themselves and why you should want to be exactly like them instead of helping you think about what type of life would really work for you (there are so many different types of digital nomads). I do follow several digital nomad groups on Facebook such as Digital Nomads Around The World. If you have questions about digital nomad life these are great places for getting honest answers. Please mention some amazing places you’ve discovered lately that you definitely want to go back to – and why they were amazing. Having lived in developing countries for years I am quite happy I can now afford Western countries more comfortably and recently I have really enjoyed San Diego, California. San Diego offers a good start-up scene with a lot of people working from cafes or co-working spaces which is a great environment for digital nomads. 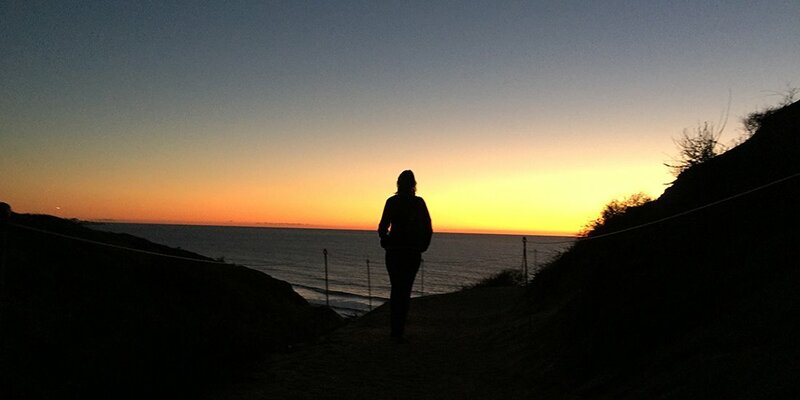 At the same time San Diego has beautiful beaches, a great climate and quite a laid-back atmosphere. So all in all it offers an incredible quality of life if you can afford it. You’ve been doing this for so many years, so clearly you know a thing or two about how to do this for the long term. But do you think this lifestyle is possible for people that are «settling down» (meaning people wanting to start a family)? Are the two concepts possible to mix? That’s a good question… I have found a lot of people struggling with this. Yes, it is perfectly possible. If you find a digital nomad partner you could easily keep moving around. Maybe not every few months but even once you have kids who go to school you could still move country every year since there are high quality international schools all over the world these days. But does that work for many people? I don’t think so. Looking at myself I absolutely loved moving country every few months, starting a new life, a new adventure… when I was in my twenties. Now that I am in my early thirties things are starting to change. I still move around a lot but I did buy an apartment a few years ago and I am starting to miss having a place I can really call home. People who still live a digital nomad lifestyle in their thirties, forties, etc tend to move a lot slower than digital nomads in their twenties (in general that is). More tend to have a permanent base and just spend a number of months out of each year (often the cold months) abroad. Do you want more people to follow you? If so, how would be the best way to do that? 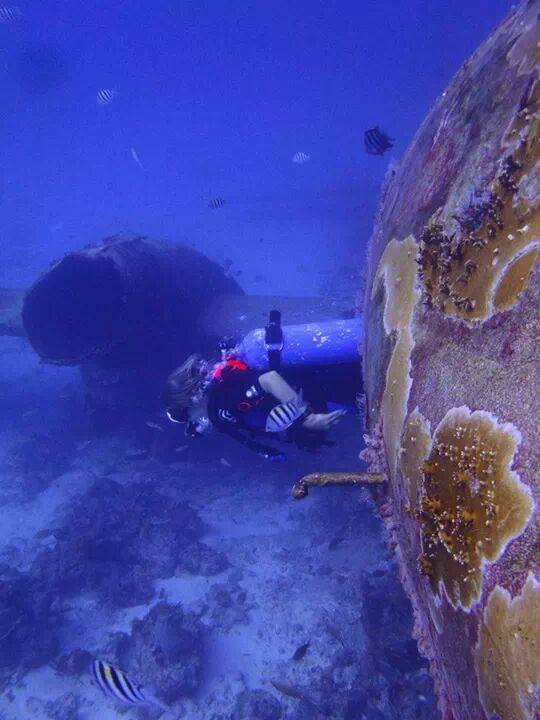 I share some of my experiences on www.spendlifetraveling.com. Feel free to reach out to me there if you have questions about the digital nomad lifestyle!